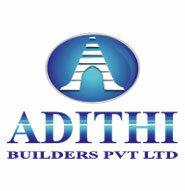 Adithi Builders Pvt. Ltd. is one of the fastest growing developers in Bangalore with developments spanning across Residential, Commercial. Over a period of a decade we have completed 07 Projects spanning a total developed area of over 4 Lakhs Sq.ft., Adithi has 2 ongoing projects comprising around 2.5 Lakh Sq.ft., & 02 upcoming projects, totaling 3 Lakh Sq.ft., which include Apartment enclaves, Commercial Complexes. The Founder & CMD, Mr. Satish Reddy , An MBA. Graduate from Hyderabad who believes in giving Quality, latest designs, timely delivery, affordable and excellent value for the projects. To provide the highest value to our clients, customers and community with a critical eye towards Quality, Safety, Service and Budget. To deliver exceptional services to the construction industry and the clients, by providing the highest level of professionalism, service response and workmanship.